Caption slip reads: "Photographer: Sandusky. Date: 09-02. 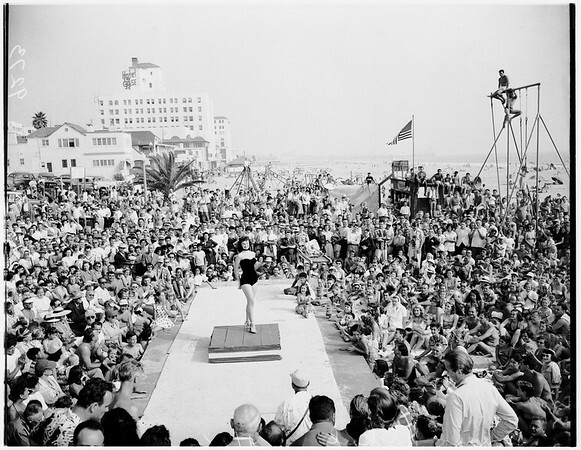 Assignment: Miss Muscle Beach contest. D37: gag shot, Mr. California (Malcolm Brenner) posing as contestant. D38, 39: Donna Michaels, one of contestants. D40: 20 semifinalists to compete Monday in finals".